We would like to give hope to people in despair around the world. Everyone wants to live a happy life. However, regardless of their will, sometimes people slip into depression and live an unhappy life. People feel uneasy and restless when they are lacking even the smallest things—and this makes the world dreary. Now, we live in the age of globalization. Nevertheless, people have become more closed-minded and alienated from one another. Sharing and giving is being lost; people are becoming individualistic and self-centered rather than living together in harmony. People pursue their own success and happiness, and there is no room in their minds to look after their neighbors. They have forgotten to stretch out a helping hand to those who are in difficulties and left behind. What is truly needed in our society is love. The International WeLoveU Foundation concerns about the state of our society, and makes efforts to share happiness, which everyone desires. For a healthy society and a hopeful future, we would like to share love with our neighbors in need through systematic volunteer services, and give them hope. We look forward to your consistent concern and support for the growth of the International WeLoveU Foundation. Founder and Chairwoman Zahng Gil-jah established the International WeLoveU Foundation in South Korea in 2001 as a vehicle to deliver love and happiness to neighbors in need. The Chairwoman took a grassroots approach by personally interacting with and caring for the needs of the global village. 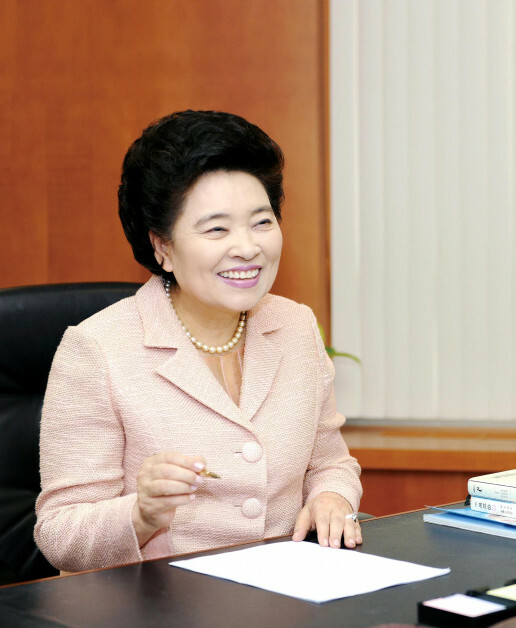 Through the areas of social, senior and child welfare, disaster relief and environmental cleanups, the Chairwoman’s example of giving love has spread from the east to the west and planted itself in 50 countries to inspire a healthy and hopeful future. The Chairwoman is dedicated to helping all members of the global family until the whole worlds smiles. The International WeLoveU Foundation’s history started in 2001 under the name New Life Foundation. In 2011, New Life was revitalized into WeLoveU.